shots had the most liked content! I know that they aren’t Cornish clubs, but Cullompton & Exmouth never complained about only 3 of their away matches being in Devon, the other 15 being in Cornwall. Unfair @ times but part of the package. I don’t know why some of you guys think referees suffer. They are never fined or sent off for getting things wrong so what have they got to complain about. A lot of discontent is caused by the fact that players have no right of appeal. If a ref is verbally abused he has always got the cards to sort things out with, if he has the balls to use them. If he is correct in his actions everyone will back him up. 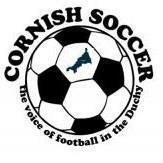 Once again, Cornishfootball, who suffers for refereeing eccentricities, THE PLAYERS. Glad Stacey has improved, last time I saw her she was handing out yellow cards like confetti. Whilst I realise officials and players can both have doomers, players have no right of appeal, even when refs are blatantly erroneous. Foul & Abusive has been a red card for many years.When The FA tried to highlight this many years ago, I can remember Refs coming into dressing rooms pre match & saying “No jewellery or swearing “. Trouble is not enough refs had the balls to enforce this. It is far easier to hand out 2 yellows for pathetic offences, against which there is no appeal, go home press a button on the computer. No report required, job done ! Who would be a club football secretary or player these days. I notice that in the swpl match report Argyles 2nd goal was from a penalty awarded for an “apparent “ handball. Was this another instance of the ref being kind to Argyle @ DCFA HQ? Whats happening to the Argyle SWPL side next season? Yours In Sport.